Location-based upstarts to take mobile social networking crown? The mobile phone versions of those two social networking behemoths MySpace and Facebook have come under fire for holding back the development of decent, location-based social networking. A new report from ABI Research, claims that 46 per cent of social networking users have visited one of the two major social networking sites via a mobile phone. 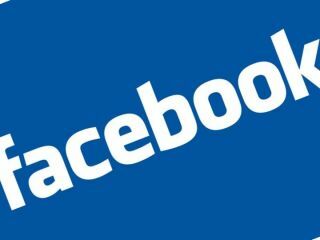 Nearly 70 per cent have visited mobile MySpace and 67 per cent have checked out Facebook on the go. No other social network was able to claim more than 15 per cent mobile adoption. 50 per cent of the mobile social gadflies surveyed were using the services to check new messages and comments from friends and 45 per cent were posting status updates to keep their mates informed that they were 'ON THE BUS/HAVING A FAG' or whatever other fascinating, must-tell-all activity they were currently involved in. Research director Michael Wolf said of his team's findings that: "The social network is increasingly becoming a central hub for communication across online and mobile domains for many consumers. "To a degree, it allows them to centralise messaging, communication and even digital media consumption through a centralised property on various screens. We believe this centralisation of a consumer's digital lifestyle through social networks will only increase adoption of mobile social networking in coming years." Ars Technica notes that the next "holy grail in social networking" is location-based services and criticises Facebook and MySpace for their failure (to date) to "harness the advantages of location technology even on the desktop." The report adds that: "A storm of location-based social networks are capitalising on the fact that these two giants are asleep. Networks like Whrrl and Yelp are offering location-based reviews of events and restaurants, while others like Brightkite and Loopt allow friends to easily tell the world where they are for meeting up and creating public gatherings." It will be interesting to see if these and other such start-ups capitalising on the use of location-based social networking on mobile will be able to gain any significant traction in this massive, rapidly growing market in the coming months or indeed whether the two giants Facebook and MySpace have something up their sleeves.